The 1959 classic comes to blu-ray in a made to order blu-ray that allows hope for even more classics to come that otherwise wouldn’t be worth pressing up thousands upon thousands. 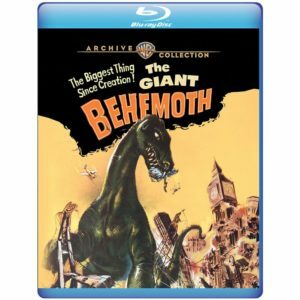 The Giant Behemoth looks better then it ever has as black and white films tend to look very sharp on blu-ray format, and The Giant Behemoth is no different. Audio wise the film comes with DTS HD Master 2.0 English and also English SDH subtitles. Fans of the film or genre will be happy to have a chance to own this classic in blu-ray. Once again we tip our hat to what the folks over at Warner Archive are doing and highly recommend this to those interested.